OLD PARKED CARS. : 1967 MG MGB. No comments on this one??? 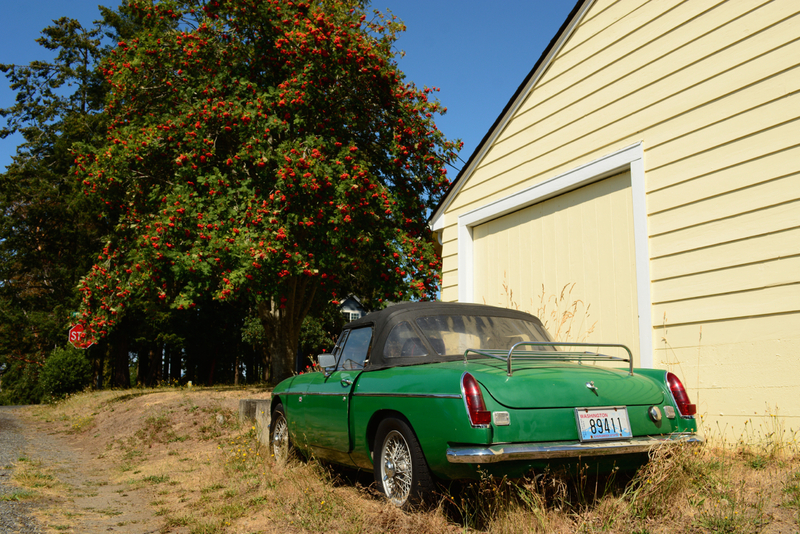 A terrific BRG MGB with wire wheels composed beautifully on a sunny PNW day under some mysterious flowering tree! Outstanding! I share your enthusiasm for this ride. My first car was a '67 MGB. I remember it fondly, the good and the bad. 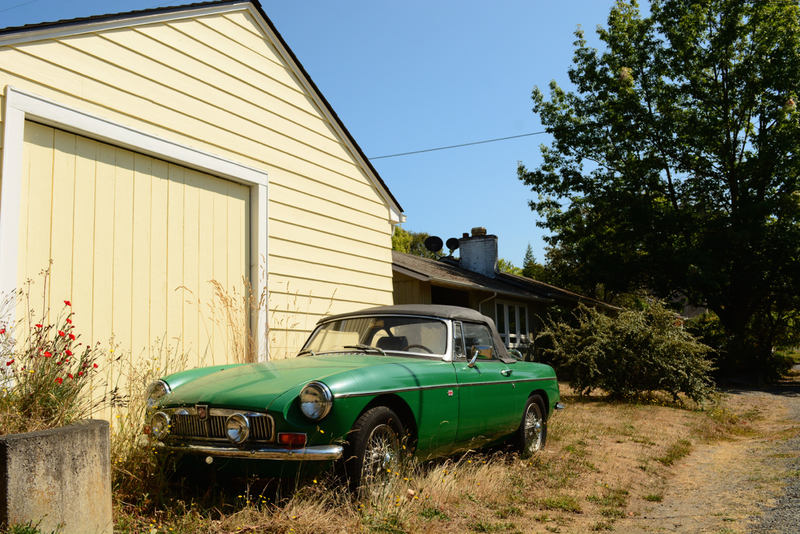 Not all green is British Racing Green. 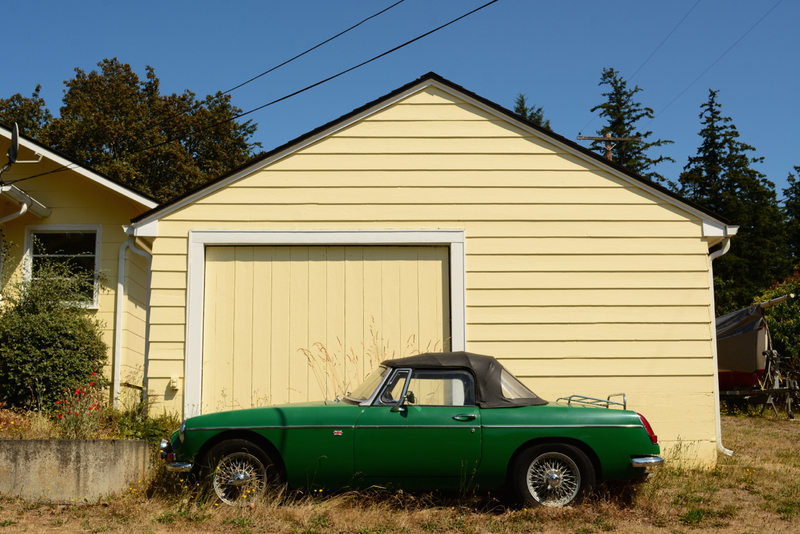 BRG is usually a deeper, darker green, like a forest green. This probable respray looks more... I dunno, shamrock green. Shamrock shake green. Envy green. Since I'm playing Mr. Know-It-All, the tree looks to be a mountain ash. If so, them be berries, not flowers. I really appreciate your keen eye on the proper color and the tree! In retrospect, the green is clearly not BRG....perhaps it was the unusually clear bright sunlight that threw me off. I formerly lived in Bellevue, and as a native Texan, I was actually refreshed by the lack of blinding sun 24/7. My first British machine to wrench on was a Triumph Bonneville, and was one of those who later reached a mutual respect for variable venturi triple sidedrafts on the E type. Funny, but I love the quirks of the British machines but won't tolerate that behaviour from the Italians or the French. Go figure. So, it turns out that the Mountain Ash has some folklore associated with it. According to MakeUpAPedia,<< The tree was also called "wayfarer's tree" or "traveller's tree" because it supposedly prevents those on a journey from getting lost.>> The irony of an apparently lost car in the shadow of the Mountain Ash. All MG MGB Mark I Roadster versions offered for the year 1967 with complete specs, performance and technical data in the catalogue of cars. I was thinking about buying a similar one. 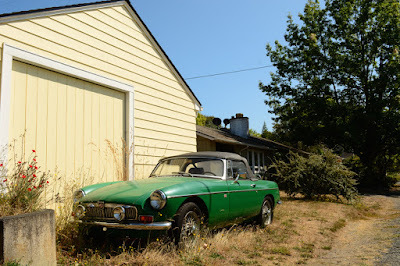 Driving a such car would definitely inspire me for writing my book. What do you think?